More lipstick! 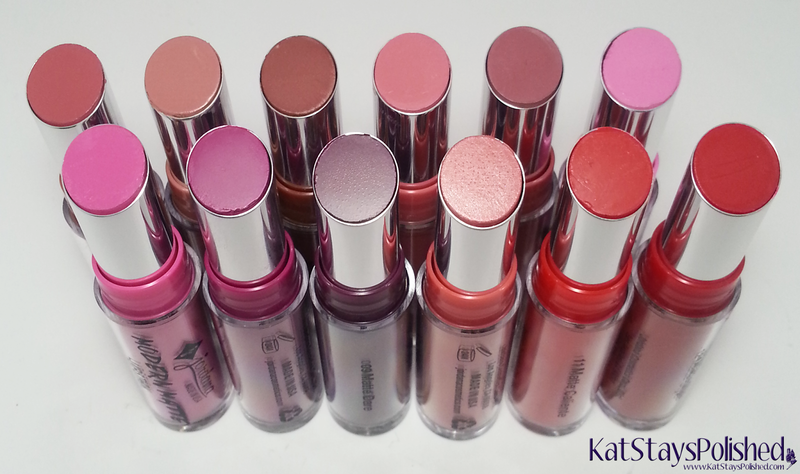 This time I have 12 out of the 18 new matte shades from Jordana - Modern Matte Lipstick to be exact. With this many shades, anyone can find their perfect color. The first 6 Modern Matte lipsticks are very neutral and are great for every day wear. If you're not one to sport bold colors on your lips, try the Matte Bare or Matte Blush. These apply smoothly with just a hint of color. If you love to wear bright, bold colors, definitely check out these next 6 shades. They are perfectly pigmented and apply with ease. I also love how thin the tubes are - makes it easy to handle. These shades are available at your local Walgreens for just $2.49! At this price, you may as well get them all! If you do, post a comment or tag me and let me know what you think! Wonderful swatches of all these lipsticks!